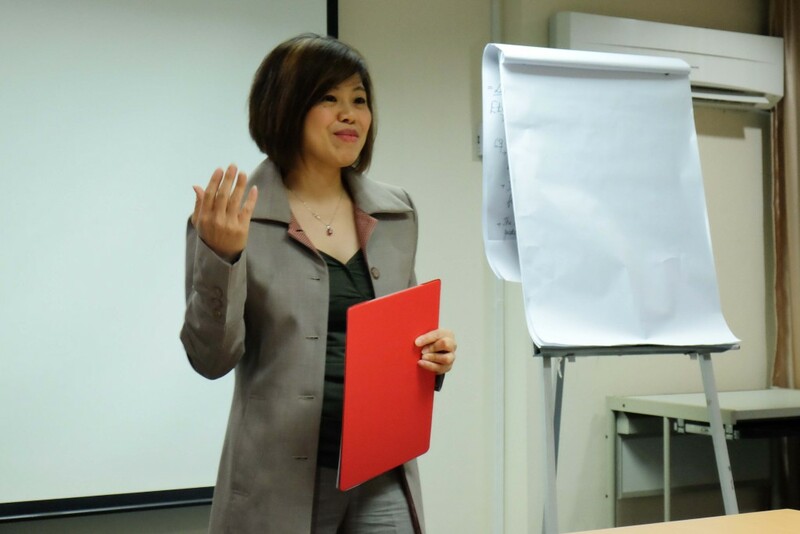 Our first time Toastmaster of the Evening, TM Heidi Rahman, commenced the meeting with a very positive and jubilant energy. She shared with everyone that if your dreams don’t scare you, then it is not big enough. Thank you, Heidi, for your wonderful thought of the day. 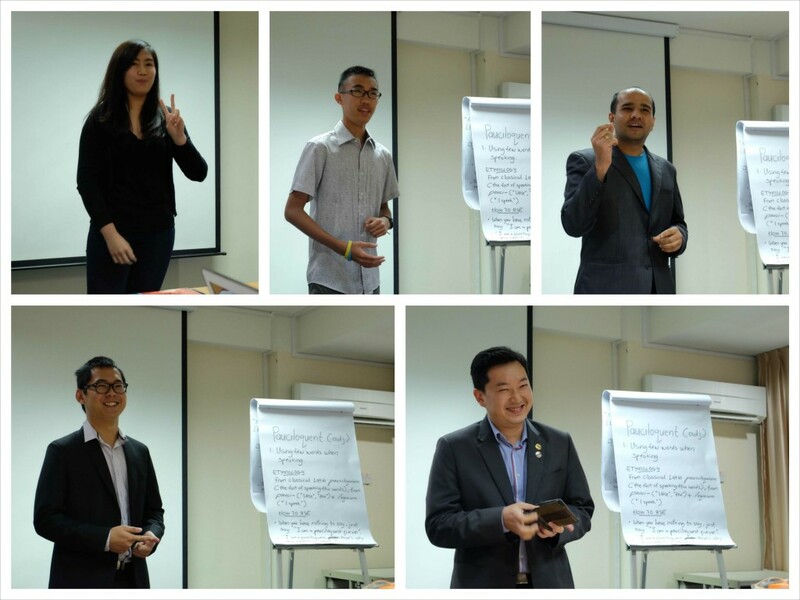 Our TME began the meeting by introducing the office bearers on their role. 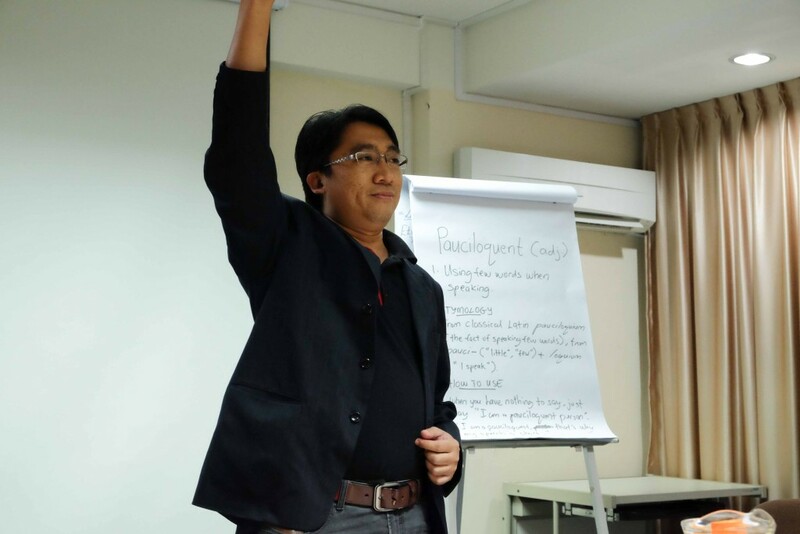 Chris Woo, CC took the role of Grammarian, who introduced the word of the day: pauciloquent. It’s an adjective which means to speak with a few words. 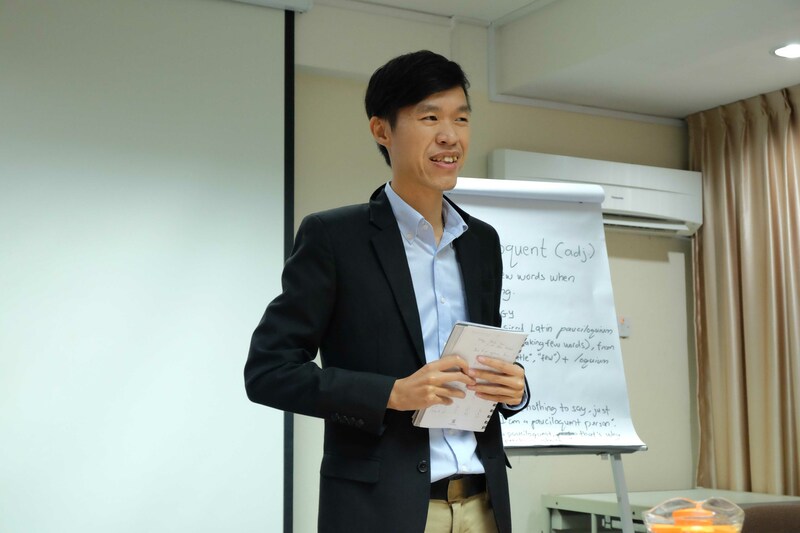 Our Timer & Tip, TM Vui Ting shares the tip on planning the day wisely. If you plan well, you can do more, with less time. TM Jidun Dollah presented his CC2 Project titled ‘The Forgotten Dream’ to share with us on how his forgotten dream was rekindled.. When Jidun finished his A Levels many years ago, he did a research where he randomly interview people that have financial difficulties. He realised that he wanted to help poor people. However, that time Jidun didn’t have much money, therefore it is impossible to achieve his dreams, so over time he’d forgotten about it. One day, a person lent him a book called ‘Magic of Dreaming Big’ by David J .Schwartz. It struck Jidun about his forgotten dream. He realised that we should always pursue our dream, and there is no such thing that is impossible. He decided to pursue his Masters in Business Administration; hopefully do well in business; and be able to fulfil his dreams. 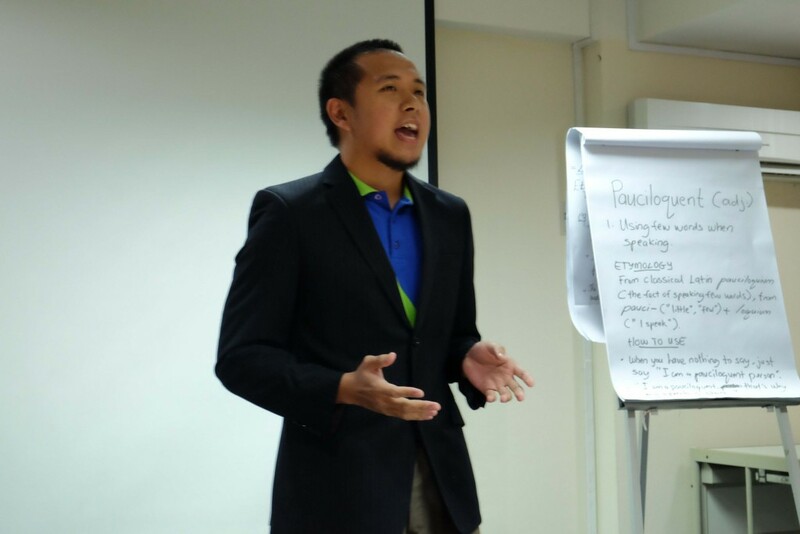 TM Saiful Zamhor attempted his 3rd project with the title ‘Tips for a Father’. 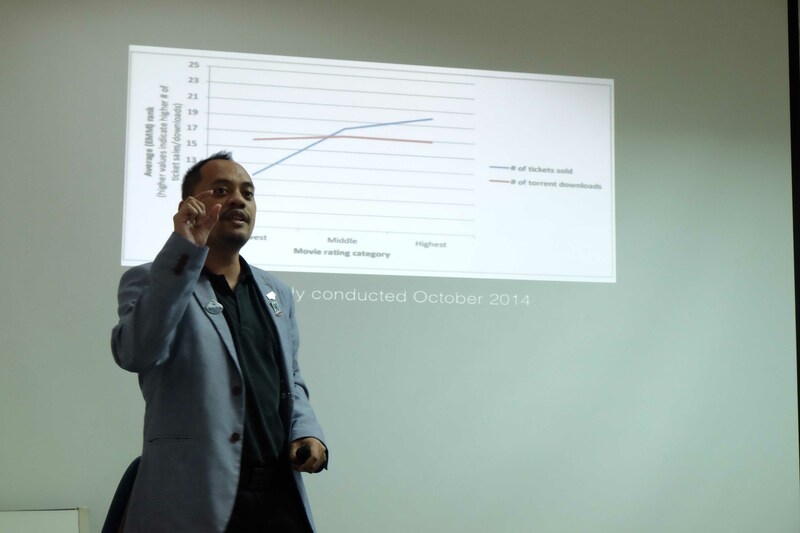 As a father of three sons, shared three meaningful advices for the audiences to bring back home. Saiful advices are: Embrace the past, present and the future; be patience with children; and learn from imperfection. We need to be patient with our children. No matter how tired or busy we are, we need to give our children the best smile we can. This will avoid disappointing our children. If we are angry at them we will demotivate them. If the house is a mess, tell them to clean it up, not scold them. Fathers and leaders alike, makes mistake. However every mistake is a lesson to be learned. 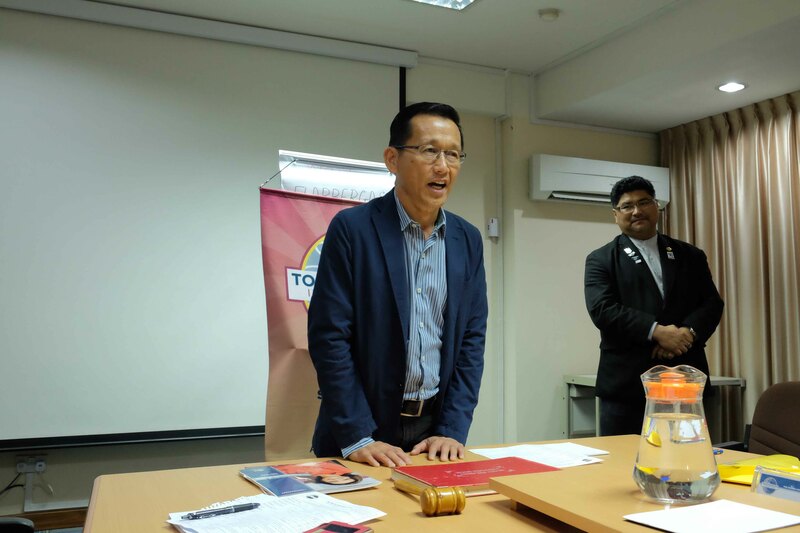 TM Rano Iskandar delivered his Competent Communication Project no.7 about his passion titled ‘Purple or Gold?’ Rano admits that he is an addict movie goer. He strives to combat piracy in the film industry. According to a research, piracy apparently has no effect on the sales of movie tickets. However, Brunei was under US Trade ‘piracy watchlist’ in 2012 due to overwhelming copyright issues. Because of the swift actions of enforcers taking down the major piracy vendors, Brunei was taken off the watchlist in 2014. Rano advocates that he is against piracy and we all should appreciate the creative industry. The second part of the meeting started as TM Kai Wei took over the floor as the Table Topics Master with his theme “Time Travel”. 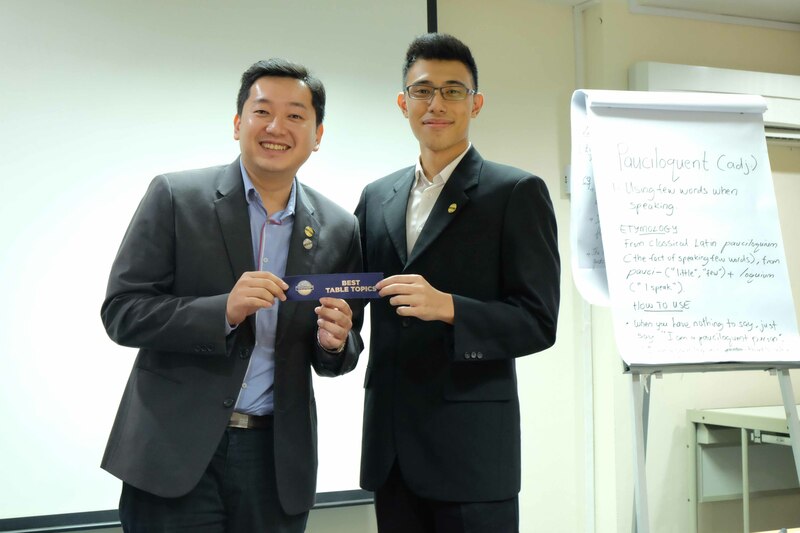 TM Dalton Lim was the first member to speak in the table topics session with the question – what would he say to his younger self? Dalton structurally answered with three points: First to study and get good results so he could get into a better university. Secondly, not to play too much basketball and lastly to eat more. As they say, a bigger tummy means more fortune. The second speaker, Kendrick was given the chance to hang out with anyone in the past. Kendrick quickly mentioned ‘Albert Einstein’. He explained that he was an avid physicist, despite having bad grades in physics. By hanging out together, they both could come up with theories and if he has any questions, Albert Einstein is the man to go to. TM Rahul Breh was asked if he could go to any event in the past, which one would it be, and why? Rahul said he would go back to the time where he could meet Rosalind Franklin. She is one of the first to discover the crystal structure of DNA. He would tell her to write her paper and publish it and get a Nobel Prize. Rahul humorously continued secondly he would return back to the event when he met his lovely wife. Joanne, one of our guests, was given the topic – if she built a time machine, what would she do with it? Similar to Dalton, Joanne would like to meet her younger self and leave some advices. She would advise her younger self to spend more time practicing the piano so she won’t have stiff fingers now. Secondly, she would advise her to do more sports be more fit. Our last speaker, Jordan Yau, CL has to convince everyone that he was from the year 2025 and there was a zombie apocalypse. Jordan proved that he really came from the future by showing the audiences a dollar note from the year 2024. He announced that he’s the only man left in 2025 because in 2017, in the first movie screening of Marvel movie, a monkey bit Jordan’s wife. His wife was patient Zero. Jordan begged everyone to not let her wife to watch that movie with him in 2017. Congratulations Jordan for winning the Best Table Topic Ribbon. 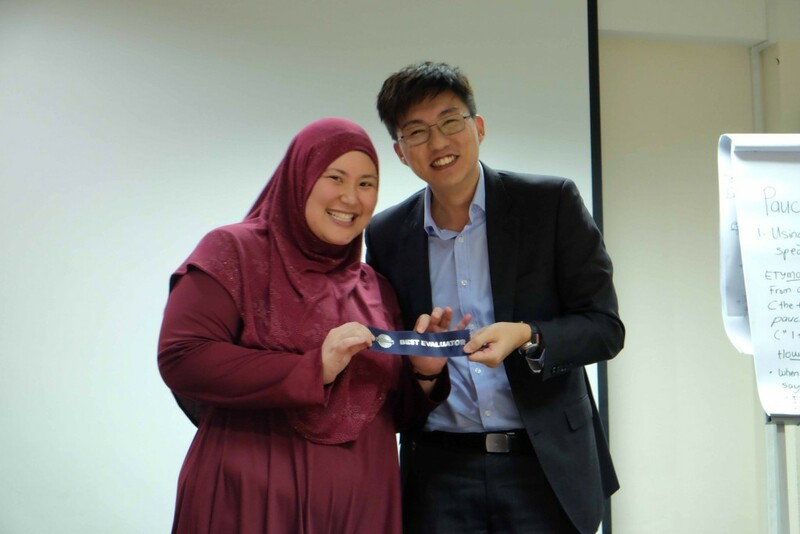 This term, Chris Woo, our president has also introduced the first ‘Best Evaluator Ribbon’ to acknowledge and encourage evaluators to improve and be better. Congratulations, Rozana Yunos, ACG, CL for winning the best evaluator ribbon! Our heartfelt congratulations as well to our TM Supatra Lee, who won 2nd Runner up for Area Contest for Humorous speech. 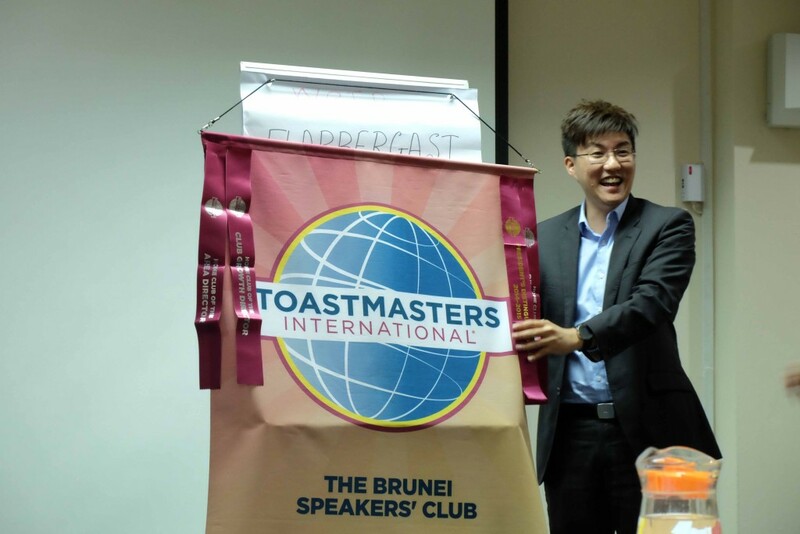 Brunei Advanced Speakers’ Club will also be having their one in a month meeting at the Raddison Hotel on the 25th September 2015. If you are interested, please do not hesitate to look for Rozana Yunos. 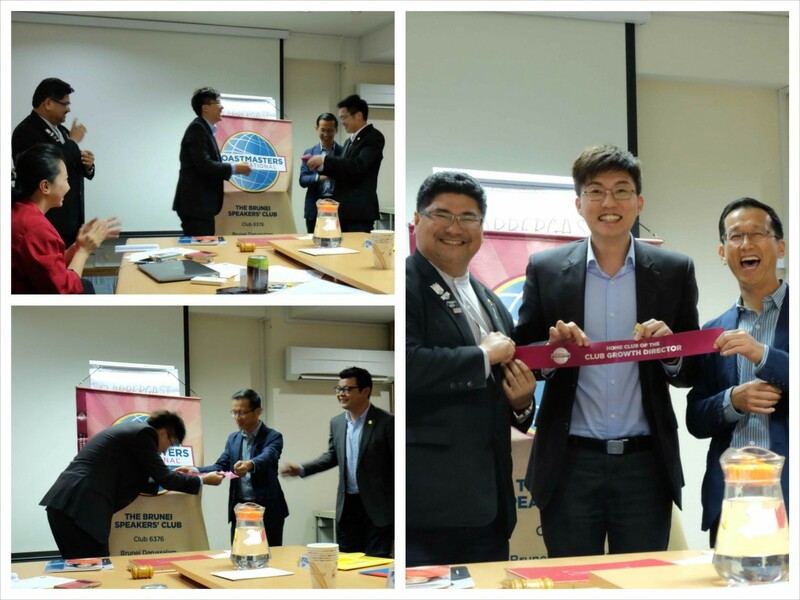 Today mark a very special day as our founder, CTM Clovis Lai shared with everyone how he founded the club. Leaders plant good seeds and nurture their growth. The club has come a long way and after 16 years, we are proud to have three officers serving the area, division and the district. They are Allen Ang, Reuben Chin and Shawn Narcis respectively. Clovis handed all the ribbons from the officers over to our president to hang on our banner as a measure of our journey. 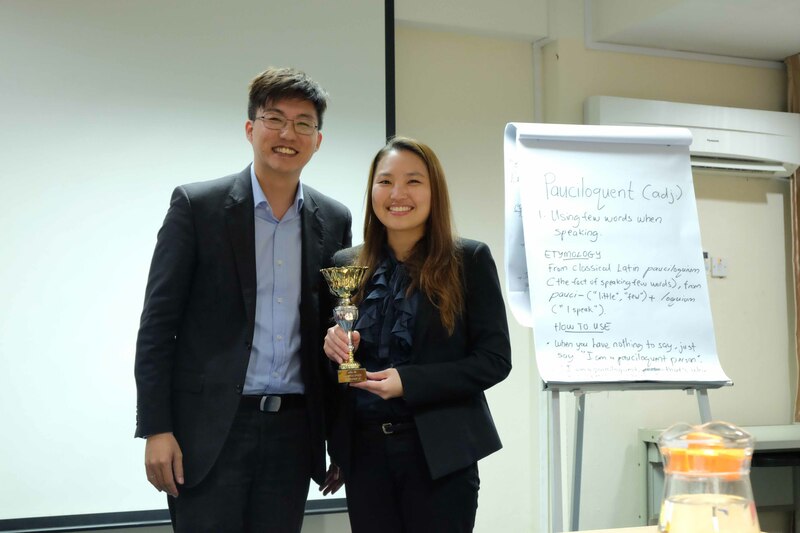 Congratulations to all the toastmasters on their outstanding fantabulous performances!